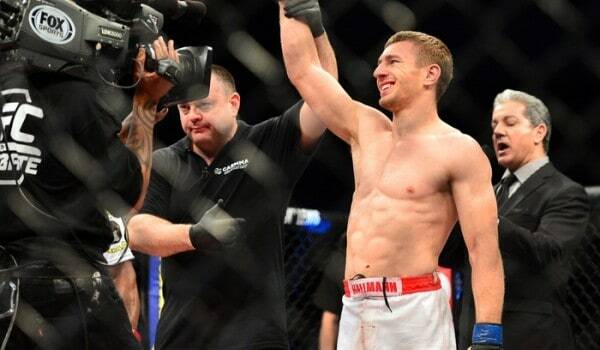 Piotr Hallmann vs. Yves Edwards was an ugly fight to watch happen, just ugly. Eye pokes, nut shots, fence grabbing, it felt like there was every foul in the book during this fight and that the action wasn’t exactly that exciting to boot. They went until the third round where an exhausted Yves Edwards with probable blurred vision gave up his back. Piotr Hallmann’s rear naked choke was quick to follow and Piotr was quick to sink it in. Big, big win for Piotr Hallmann here in Albuquerque.